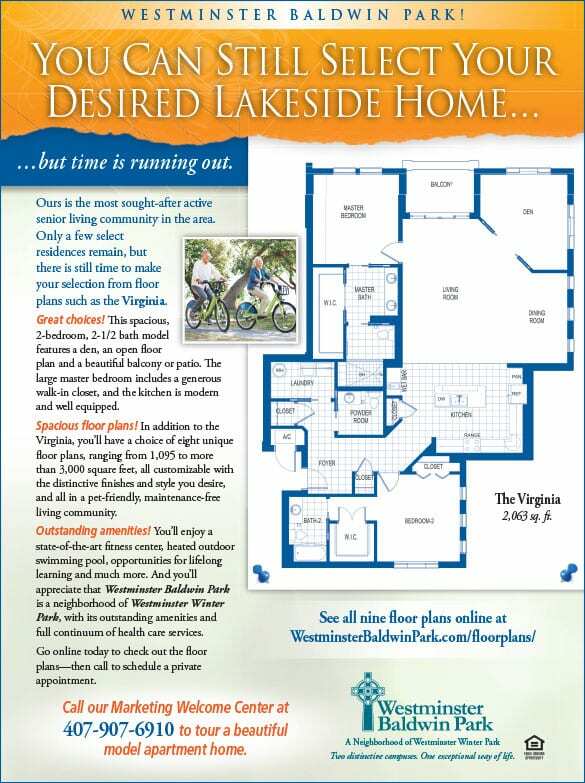 In December 2014 Westminster Communities of Florida asked Love & Company to help launch a satellite independent living neighborhood: Westminster Baldwin Park. The location was one mile from its Westminster Winter Park, a CCRC that had served the Winter Park, Florida area since 1965. The launch faced several major challenges. First, the market was very competitive and soon to be even more so. 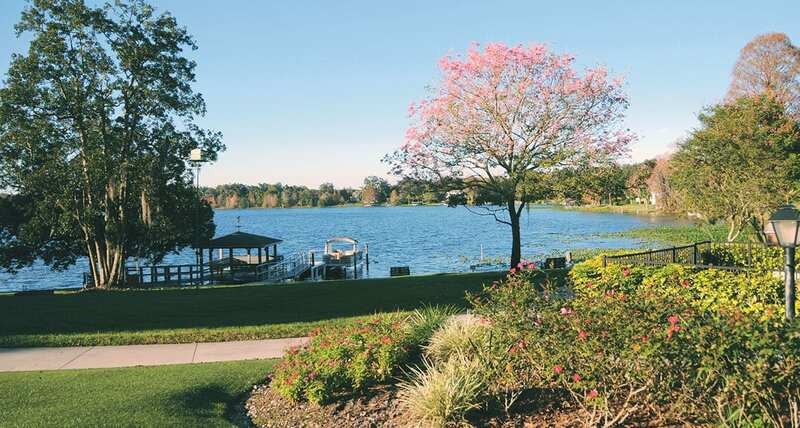 Five new senior communities were in the works near the already popular, neo-urban Orlando neighborhood of Baldwin Park. Second, the project goals were highly aggressive: a) begin marketing the 80 spacious apartments by March 2015; b) achieve 70% reserved residences by mid-May 2016 and c) deliver 95% stabilized occupancy by mid-2017. We developed a multi-tiered marketing plan based in part on our prior experience in the region and target-audience ZIP codes. Also, recently we had helped Westminster Winter Park overcome similar obstacles in surpassing census goals for its Loch Berry apartments expansion. In the process, we built an exceptionally collaborative relationship with its sales and marketing team. For a quick ramp-up, we recommended the tactic of skipping priority deposits and going directly to 10% deposits. What drove initial and sustained success was the competitive and distinctive positioning we created. 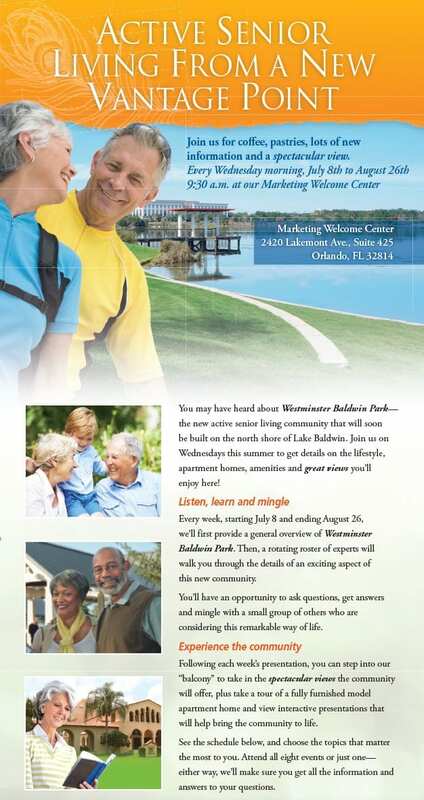 We promoted Baldwin Park as the place for “younger” seniors to enjoy luxurious, active, senior living with Lake Baldwin Views. We targeted guests in their early 70s – versus the average move-in age of 81.5 years for area CCRCs – with a brand story that spoke of a singular experience without the stigma of care on site. That said, while Baldwin Park had a rapid recovery rehab facility, residents were reassured that, if needed, they had access to a full continuum of care at the nearby Winter Park campus. To convey this story the compelling position we developed was: “Two Distinct campuses. One exceptional way of life.” This theme was the centerpiece for all creative development. We introduced this position with a soft launch in February 2015. 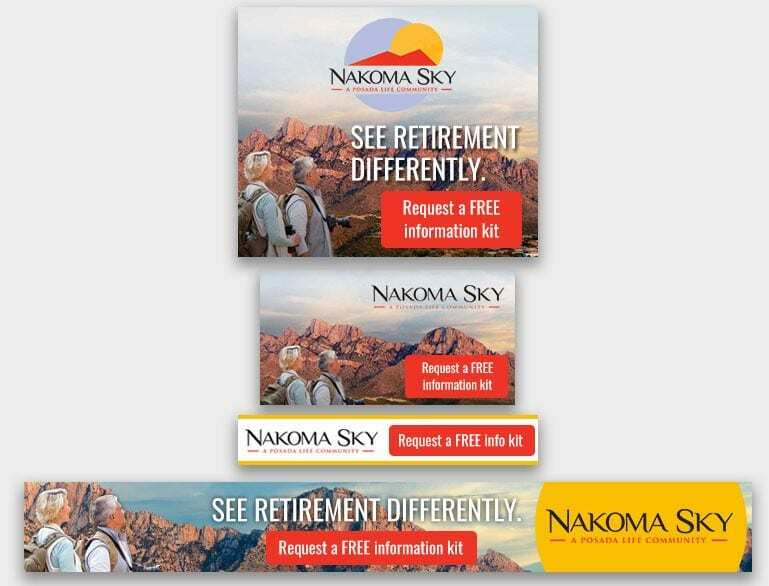 The brand-differentiating creative included an engaging landing page that we quickly expanded to a micro-site. We continued building momentum and awareness with strategically placed newspaper and magazine ads. We then followed up with a newsletter-based direct mail piece and on-going custom direct mail that promoted special events at Baldwin Park. The pace of reservation deposits started fast and never stopped. The average move-in age is projected at 75.4 years, with an unprecedented 61% investing out-of-pocket money for upgrades to reserved apartments—a year before move-in. We helped Baldwin Park go from zero to sold-out in record time. Our efforts were so successful we went from soft launch to scarcity marketing in less than six months. Goals: 70% residences reserved by May 2016 and 95% sold by May 2017. Actual: 100% sold-out by May 20, 2016. Love & Company helped Westminster Baldwin Park go from zero to sold- out in record time. Actual: 100% sold by May 20, 2016 with a healthy wait list! Our efforts were so successful that we went from soft launch to scarcity marketing in less than six months. 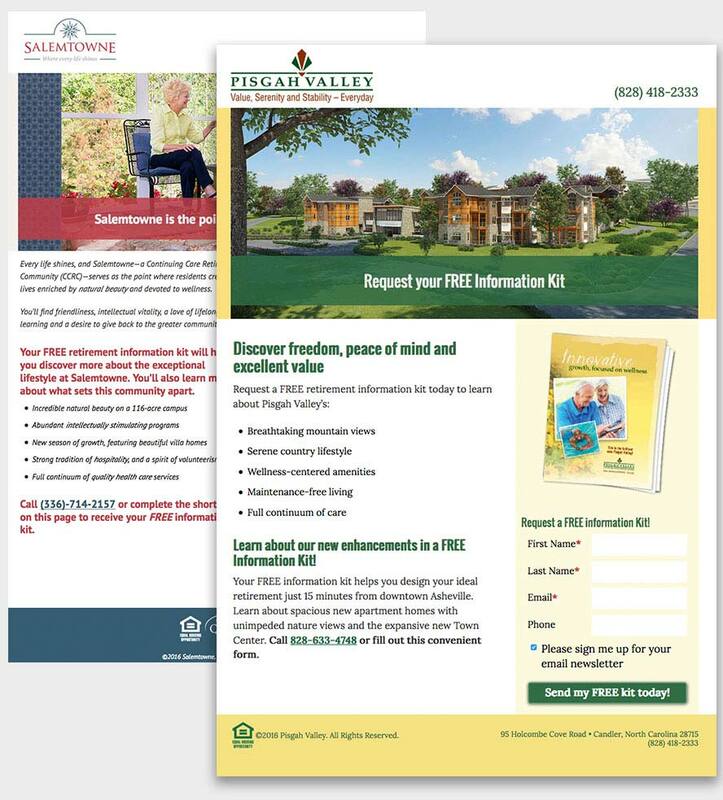 The value of featuring younger seniors: In May 2015, this direct mail piece pulled 10% higher than expected leads and achieved a cost per lead 62% better than planned. Average age of 100% reserved apartments was nearly six years younger than for CCRCs in the target market area.